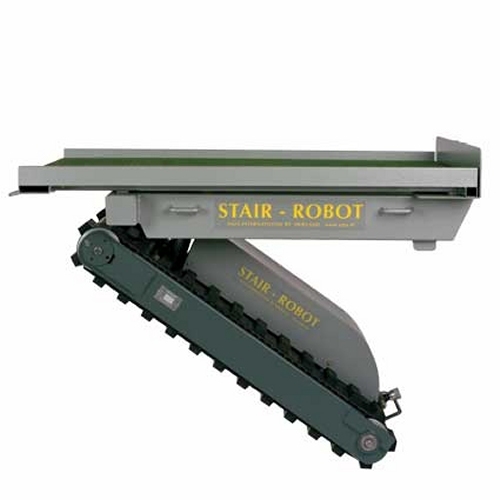 The Stair Robot ® Heavy Duty is designed to carry goods up to 1000kg safe and without trouble over stairs. 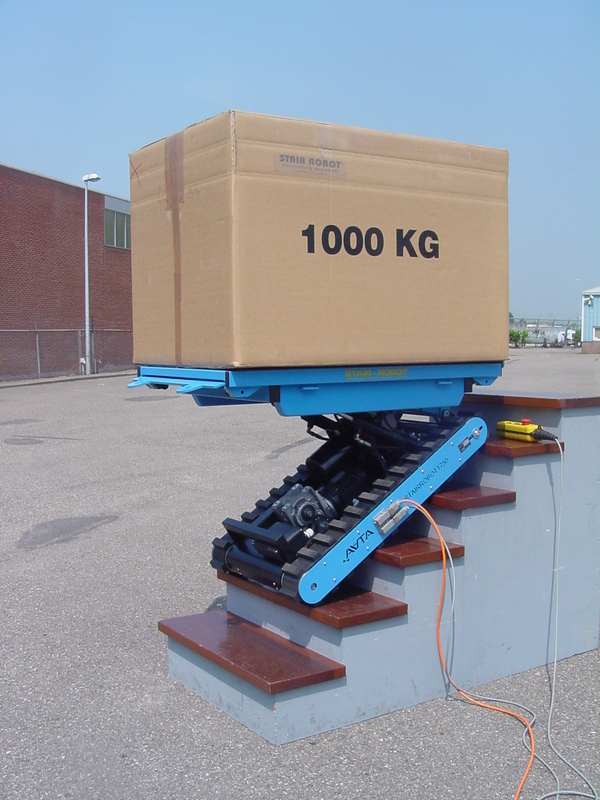 The Stair Robot ® 1750 is equipped with a hydraulically adjustable platform that allows goods to be moved completely horizontal ladder. Driving is made possible by a silent low-noise AC Motor. 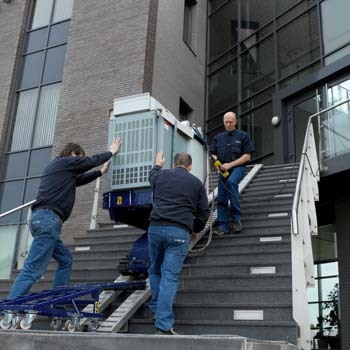 The PM has an effective engine brake that ensures that when the control is released or the power fails for any reason the Stair-Robot ® drive does not go down by itself. 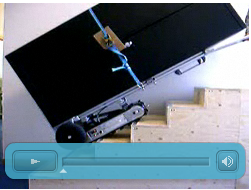 A manoeuvrable dolly is available to the (loaded) Stair-Robot ® in 1750 to transport and stairs.